Collective Project starts again for the third time: twenty student teams of the ESCP Europe Business School will work side by side with companies selected by SocialFare, BTREES and Réseau Entreprendre Piemonte. Learning how to analyse market trends and compare competitors, planning communication and marketing campaigns, studying a product in order to improve its performance and measure results: these are just some of the activities of the students of the program Bachelor in Management (BSc) of the business school ESCP Europe. For 5 months they will work as young business consultants side by side with some of the most innovative Italian start-ups. Collective Project starts again for the third time. 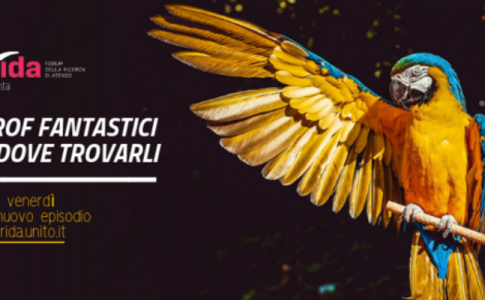 This year the projects are developed in collaboration with SocialFare, the first Italian centre entirely dedicated to social innovation, the BTREES media agency and entrepreneurial network Réseau Entreprendre Piemonte. “Learning by doing”, the idea that only practice can really strengthen knowledge, has always been one of the teaching methods of the Business School, open in 1819, among the most prestigious globally, and the Collective Projects represent an opportunity for students to enter in contact with young and dynamic entrepreneurial realities. At the same time the project is for the start-ups an occasion to take intuitions which can come from young people, able to find new business solutions and favour their scalability on the market. From biomedical to social-eating, from electricity to drones, from eco-friendly coffee capsules to job sharing platforms, the companies involved by the three partners operate in the most varied economic sectors. Twenty teams will work closely with the 19 start-ups selected by SocialFare, BTREES and Réseau Entreprendre Piemonte with the aim of combining managerial training and entrepreneurship development. Students, with shared tools of Project Management and subject to close verification of work progress to increase their professionalism, will be able to share constructive experiences and personal growth, acquiring at the same time practical, managerial and leadership skills. Of the 118 students of the Bachelor in Management who will take part, a good 82% come from foreign countries (Algeria, Austria, Belgium, Brazil, Bulgaria, Canada, China, Croatia, Ecuador, Finland, France, Georgia, Germany, Japan, India, Iraq, Kosovo, Latvia, Luxemburg, Morocco, Norway, Poland, Peru, Czech Republic, Russia, Serbia, Spain, Sweden, Ukraine, Hungary, Uruguay, US, Vietnam) and participants are between 19 an 20 years old. At the end of the educational experience, which will be part of the academic assessment, they will have to present the project they have developed. SocialFare will follow the development of projects by EcoStalla and Humus; BTREES the ones of Acus, Dynameet and Interlinea; whereas Réseau Entreprendre Piemonte will do the same for the companies Aizoon, Graziadio, Metroconsult and WllCom and the start-ups Biotechware, Gnammo, Goolbook, Immodrone, I-see, Orangogo, Tredivino, Vinnoxygen and Waycap. 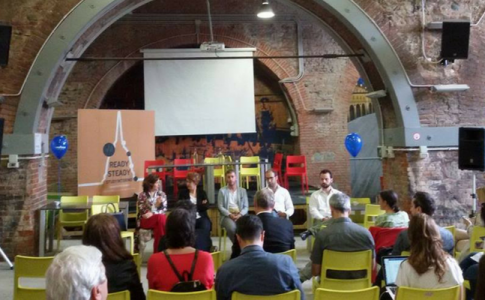 “The partnership between ESCP Europe and SocialFare is going on and growing – said Laura Orestano, CEO of SocialFare – : start-ups with social impact, thanks to SocialFare, can become not only an incentive for the project involvement of the students of the bachelor, but also evidence of their growing interest for these topics. ESCP Europe and SocialFare have to ask themselves how to meet together the demand of knowledge, which is always more focused on social sustainability as result of new business models, which should integrate the social value as a fundamental element of the chain of values of any entrepreneurial and organizational action”. “As communication agency, we want to cooperate in the growing of the innovation ecosystem of Piedmont and other areas – said Lorenzo D’Amerio, Innovation strategist of BTREES – . Renewing our participation to this initiative for the third time with ESCP Europe, Social fare and Réseau Entreprendre is a honour and for us it has a double meaning: give students the opportunity to try out their knowledge (in the field of market research, communication analysis, etc) in a practical and direct way, with the SME we work for and, at the meantime, provide an added value to companies we support. This year, we are going to involve in the project Dynameet, Acus and Interlinea”. “We are very happy we have been involved in the ESCP Europe Collective Project – said Giovanni Radis, President of Réseau Entreprendre Piemonte -. The slogan of Rèseau Entreprendre is ‘to create new workplaces, we create entrepreneurs”. It is in this way that we nurture young talents, partnering them with senior entrepreneurs, who can make them grow. We really hope that we can give ESCP Europe students teams the opportunity to be a part of our associated companies and start-ups, because we give great importance to the binomial University/Company”. ESCP Europe was opened in Paris in 1819. It was the first Business School in the world and nowadays it is one of the most renowned internationally and constantly very high in the ranking of Business Schools. With six campuses in Europe – in Berlin, London, Madrid, Paris, Turin and Warsaw –, it prepares students for an international career in management. On the European level, it welcomes every year about 5.000 students and 5000 managers, from 100 different countries, with complete programs in General management and Master’s degrees. Ex students are 50 000 of 200 different nationalities and it is active in 150 countries. From 2004 the master is available in Turin, thanks to the support of the Chambre de Commerce et d’Industrie de Paris, the Camera di Commercio di Torino, the Università degli Studi di Torino, the Politecnico di Torino and many partners companies. SocialFare | Centre for Social Innovation is the first Italian Centre entirely dedicated to social innovation: through research, engagement, capacity building and co-design, We design and support innovative ideas and solutions that tackle contemporary societal challenges, creating a new economy. We believe that social value can create economic value and concurrence to innovate products, services and models. With many national and international partners, we accelerate hands-on engagement, capacity-building and impactful enterprises. through systemic design, design thinking, qualifying technology, mentoring, networking and impact investing. Btrees is a New Media Agency with seats in Biella, Novara and Turin. The team is composed of 15 people and specialized in communication on Social media. 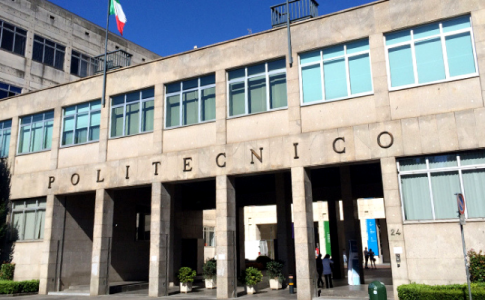 It has also been incubated by SELLALAB and it keep a strong relation with innovative realities of the Piedmontese area. Rèseau Entreprendre Piemonte is composed by senior entrepreneurs of experience, who work in many commodity services and help in a practical way who has an idea of an innovative enterprise, may it be traditional or social. The aim is the construction of the “success of ideas”, in order to make them real and working and to create new workplaces. Réseau Entreprendre is present in ten countries, including France (Italy, Morocco, Tunisia, Belgium, Switzerland, Spain, Chile, Portugal and Senegal). Italy, in 2010 has been the first non French-speaking in which arrived Réseau Entreprendre. The seat is in Piedmont, region which has always related in a constant way with France. Did you know that it is possible to enroll late? From today, 8th October, till next 12th November , the University of Turin allows new enrolments, paying a surcharge for late payment. Together with enrolment, you will have to sign up for the TARM too. You can sign up until 15th October 2018 for bachelor’s degree and master’s degree courses in Italian concerning the Scuola di Management ed Economia (School of Management and Economics), the Scuola di Scienze Umanistiche (School of Human sciences) and the Scuola di Scienze Giuridiche, Politiche ed Economico-Sociali (School of law and political, economic and social sciences). As regards the courses in English, you can sign up for the TARM till 12th October (by 12.30 am). The test will take place on 23rd October 2018 in the Aula Magna of the Campus Luigi Einaudi (Lungo Dora Siena, 100a – Torino). For further details visit the page of Unito. “Artissima Experimental Academy” is now open: it is a new educational project, developed in collaboration with COMBO. The project will be open in Turin, Milan, Bologna and Venice in 2019. Artissima Experimental Academy will live longer than the 4 days of the event and it will propose, during the year, some events for art professionals. The first event of “Artissima Experimental Academy” will take place in the fair from 1st to 4th November 2018 with the project DAF Struttura. DAF Struttura is a free and experimental school, an environment full of lights and sounds, designed and built by Jan St. Werner, composer and co-founder, in 1993, of the electronic music group Mouse On Mars, in collaboration with the Academy of Fine Arts of Nuremberg, where he teaches Interactive Media / Dynamic Acoustic Research. DAF Struttura, run by Zasha Colah, will be a stage, a sound performance, a space of work, the right place for intellectual thoughts, an archive, a radio station and a gallery and it will host international speakers, researchers, artists, and, above all, 25 students. This traveling school-facility, modular and experimental and made of corrugated cardboard, will travel on the road till Turin and will be built again at Artissima by the students of the Academy of Fine Arts of Nuremberg. Together with Jan St. Werner there will be two others teachers, Yael Solomonowitz and Marc Matter. There will also be some robotic and light installations, created by Moritz Simon Geist e Matthias Singer. The teachers and artists collective will explore idiosyncratic methods of production, examine the basic principles of the acusmatic music and of the experimental research and invent new strategies for the presentation and the perception of the sound. Jan St Werner is an artist and compositor of electronic music in Berlin. Better known as part of his electronic duo Mouse on Mars, Werner has also begun a career as a soloist, publishing, among others, Lithops, Noisemashinetapes e Neuter River. In 2013, St. Werner published Blaze Color Burn, the first of a series of experimental recordings with Fiepblatter and the Thrill Jockey Records, in Chicago. He cooperated with orchestras and groups such as the Chicago Symphony Orchestra, the Musikfabrik Köln, the Solistenensemble Kaleidoskop and the Ensemble neoN of Norway. During the 2000s, he has been artistic director of the Studio for Electro-Instrumental Music (STEIM) in Amsterdam. Werner has also been guest lecturer at the department ACT of Arts Culture and Technology of the Massachusetts Institute of Technology MIT. He is currently teacher of Interactive Media/ Dynamic Acoustic Research at the Academy of Fine Arts of Nuremberg and he has directed a new field of studies on the future of record production for the New York University of Berlin. If you want to take part in the selection of the 25 students who will be able to take part in this project, send a text, preferably in English at daf.struttura@artissima.it. The reasons why you would like to take part in the project DAF Struttura. The meaning you give to the concept of sound. In your opinion, how can the individual imagination be shared and become a collective reality? Which is your approach to collaboration? 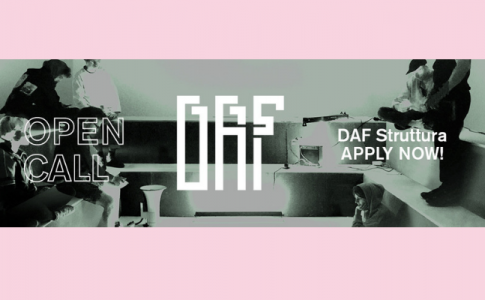 Applications for the temporary experimental school DAF Struttura are open to all participants from any country and field of study who have already turned eighteen. The deadline for submission is 5th October 2018. Info: thanks to the collaboration with COMBO, students will be given free accommodation in the fair area. Further expenses, such as travels, movements and meals will not be reimbursed and will be at the student’s expense. Friday, June 22: time for ResiDance Party! 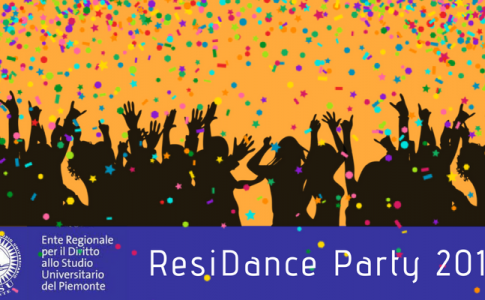 The ResiDance Party is the annual party for students living in EDISU Piemonte halls of residence. There will be many activities this year as well: prize-giving after the tournament’s finals, exhibitions, dj-sets, and a feast at “food&beverage”. WHAT IS “ENJOY THE DIFFERENCE” (ETD)? 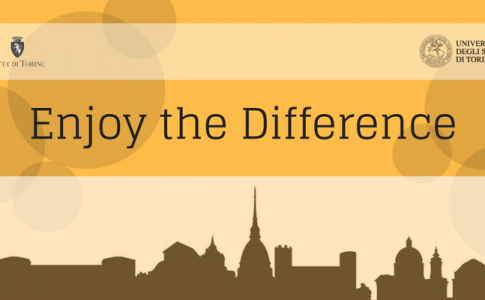 ENJOY THE DIFFERENCE is a project which started in 2011 from the collaboration between a group of students and professors of the University of Turin, Comune di Torino – Servizio Passpartout and some organizations. 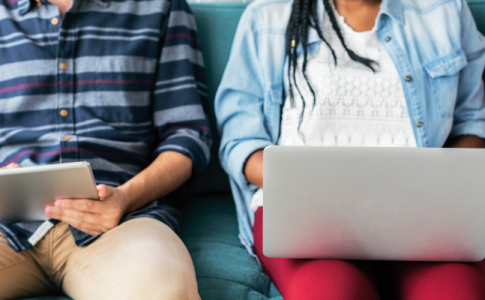 The primary aim of ETD is combining students’ need to find accommodation at a reasonable price with the need of promoting independent life for disabled people, through providing accommodation and improving the social network. The people involved, university students and young people with motor or sensory disabilities, will be housemates on equal terms for a year, during which there won’t be any specific schedule to stick to. The project is for students of the University of Turin and for young disabled people, forming mixed groups of housemates. Because each person has the right at an independent life based on equality, as it is stated in the UN Convention on the Rights of Persons with Disabilities. Because acknowledging differences must be a starting point, where everyone can find opportunities for improvement. In order to grow, to have new experiences, to put oneself to the test while meeting and getting to know other people. ETD wants to promote a change of perspective: students and disabled young people together to overcome stereotypes and clichés. Disabled young people wanting to have fun and live their life instead of suffering because of their limitations, and students with a sense of responsibility, ideas for the future and the ability to invent new ways of participating, instead of listless and passive people who drag themselves from one classroom to the next. All university students and young people with motor or sensory disabilities who are looking for accommodation can apply to become future housemates! After being closed for 558 days, shovelling hundreds of kilos of mud, and uncountable hours of work, Murazzi Student Zone is reborn, with a Re-Start that presented the completely renovated study room. A year and a half ago, the Po River burst its banks, flooding the Murazzi arches. It was November 24, 2016, after days of torrential rain, when the Murazzi Student Zone was submerged: the big wooden gate was unhinged and tables, chairs and furniture were carried away. Since its first opening on May 10, 2013, the Murazzi Student Zone has been a reference point for the student community of Turin and for freelancers, having a large number of talks, book presentations, exhibitions and courses, alongside the study room. After being closed for 558 days, shovelling hundreds of kilos of mud, and uncountable hours of work, the Murazzi Student Zone is reborn, with a Re-Start that presented the completely renovated study room. Since November 2017, in fact, renovation work has restored electrical systems and plaster, as well as entrances, furniture and bathrooms. Last Wednesday, June 6, 2018, the area was given back to the citizens, or rather, to those “special citizens” who are the students, as councillor Marco Giusta defined them. “I’m dedicating this day to everyone who made this place become a reference point again, for studying and having fun, and the next exam session makes it an even more important area for all students”, he added. At the presentation press conference there was also Sergio Scamuzzi, vice dean for University Communication of the University of Turin: “If the Murazzi Student Zone didn’t exist, we would have to invent it”, he said. A part of the city reopening, a place for studying, concentrating and sharing for many students who are getting ready to face the summer exams. An area of 650 square meters, coloured and lively, with a capacity of 270 people and free wi-fi. Everything located under ancient arches, along the constantly-flowing river and the vegetation of city parks. 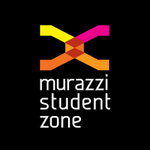 Murazzi Student Zone is a project promoted by Città di Torino and the service for university guidance StudyinTorino. 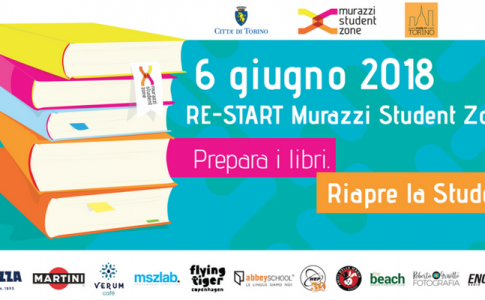 Get your books ready…Murazzi Student Zone is reopening! It’s time. Here we go again. Get your books ready… Murazzi Student Zone is reopening! 12.30 – 6.30 PM Back to studying! 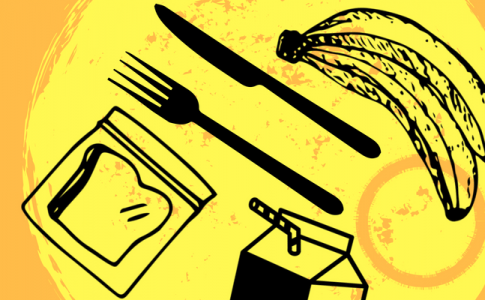 7 – 10 PM Re-Start Party, with food, drinks and DJ Set! Thanks to the allocation of over 50 thousand euros, the Murazzi Student Zone will be a reference point again, a welcoming and pleasant space along the Po River where young people and students can meet and study. Following the disastrous effects of the 2016 flood, which made the building condemned, on November 25, 2017, an exact year later, renovation work began. Today, it finally ended. The electrical systems have been restored, as well as plaster; entrances; furniture and bathrooms. Making the study room available is a part of the redevelopment of the arches of Murazzi del Po, where especially university students often hang out. Follow Murazzi Student Zone on Facebook.